Get ready for some major bathroom envy. 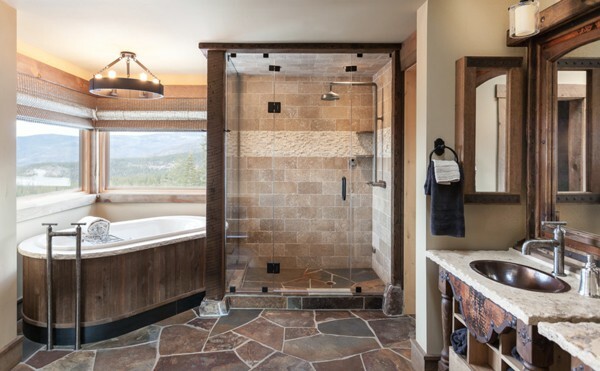 These rustic bathrooms are designed with relaxation in mind. Now, please excuse me while I climb into one of these bathtubs and never leave. 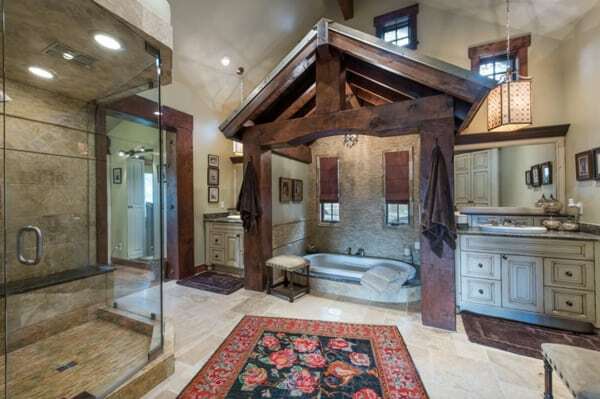 Above, this log cabin bathroom is anything but quaint. The mixture of stone and wooden walls creates an amazing contrast. Candles, a rug, and fluffy pillows add a cozy vibe. A modern bathroom in Sacramento uses wood trim to soften the tile. The result is a spa like space. This bathroom in Salt Lake City is massive. A recessed bathtub with a cabin like structure gives the feeling of privacy in this large room. 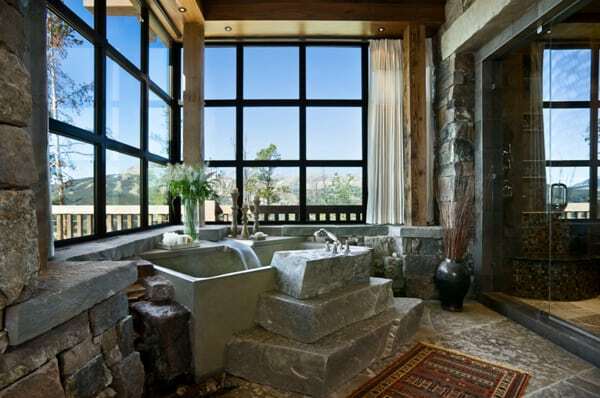 A bathtub surrounded by stone is stunning. It offers corner to corner dreamy views of the mountains. Here is another modern space with rustic touches. Lots of stone and wood are used throughout. Tired of bathroom talk? Here’s some cowhide barstool kitchen inspiration.